... The DriWash you Remember! ... Bundles give you everything you need! ... and the DriWash Solutions Pumper! Wash a car without water? You have to be kidding! No Kidding. DRI WASH`n GUARD® Classic Waterless Car Wash is the latest innovation in water saving technology. Clean, seal, and UV Protect without a drop of water. Introducing next generation vehicle appearance technology. It's Ionic Technology not only helps repel dust from your vehicle's surface, but also helps reduce and remove existing minor feather scratches. Click here to order on-line! Don't repaint that old vehicle! Restore the shine on older, dull painted surfaces with OxyGone®. Quick. Easy. 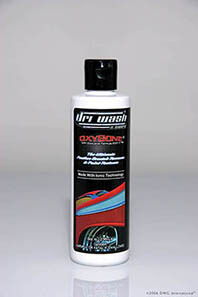 Inexpensive OxyGone® gets rid of that white, faded layer of oxidation that dulls painted surfaces and also removes feather scratches. >We're looking for business oriented automotive enthusiasts..
> Make 20% - 40% profit on retail sales, or even more. > Low startup costs, no minimums, no territories, no maximums! > Ideal for existing automotive businesses, or start your own business! Save on all DRI WASH 'n GUARD® waterless detailing products manufactured by DWG International™! Need a large quantity of DRI WASH 'n GUARD® products? All case lot purchases are discounted! Save on all DRI WASH 'n GUARD® Products! Since 1991, DRI WASH 'n GUARD® waterless car wash has been used to clean not only cars, but RV's, motorcycles, boats and even aircraft - all without a drop of water. 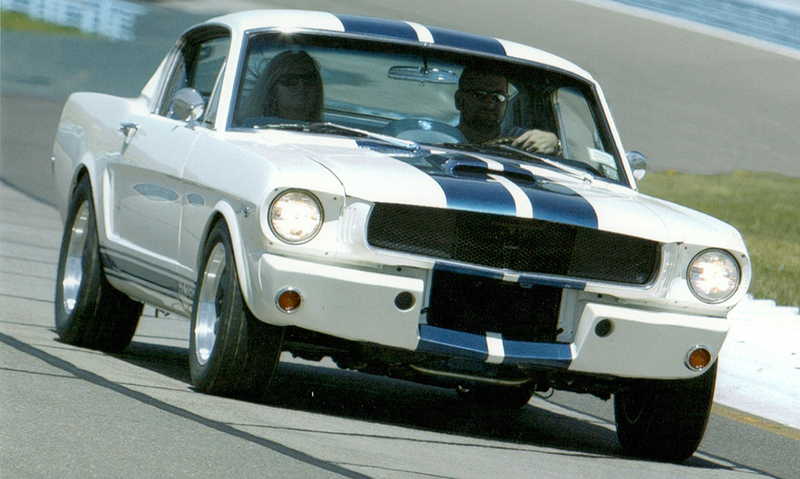 And since 2003, DriWash Solutions® has been here to serve up the BEST waterless detailing product on the market. We're the #1 distributor of DRI WASH 'n GUARD® for two years running! Benefits to you: fast same day shipping (if you order before noon EST). DRI WASH 'n GUARD® not only cleans the dirt from the surface, but restores its original finish, and also adds UV protection to your car's finish to protect it from the sun's harmful rays. Oh, and by the way, it does all this without scratching - guaranteed. Do you want to conserve water and clean, seal and protect your car at the same time? Has your town or municipality instituted a water conservation initiative? If so, no need to drive around with a dirty car - simply use our DRY WASH! Don't be fooled by all the other 'Johnny Come Lately' waterless car washes out there - DRI WASH 'n GUARD®is the Original Waterless Car Wash.
Lastly, your satisfaction is completely guaranteed or simply return the unused portion and get your money back! 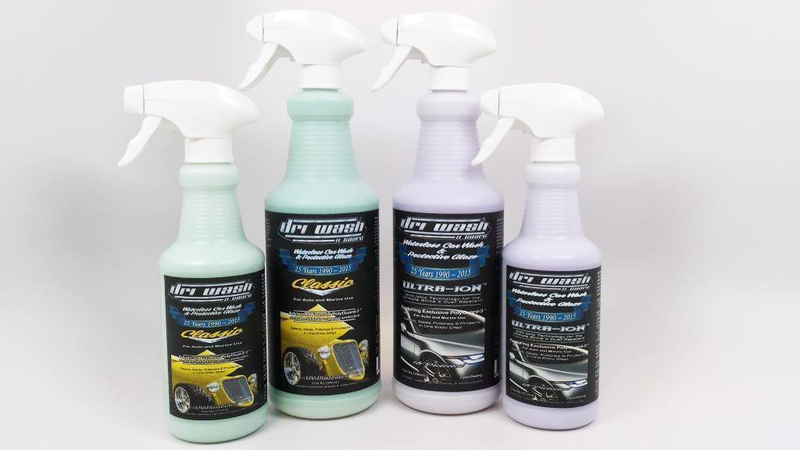 Remember to check out our other Dri Wash products for solutions to your all of your detailing and cleaning problems. Bucket and hose not required. Give us a call at (888) DRI-WASH, thats (888) 374-9274, email us at: jskurka@driwashsolutions.com or visit our support page. Purchase your Dri Wash products in our Store.